If you have school-aged children, you have probably heard a thing or two about childhood anxieties in school and how rampant it has become amongst children as young as preschool-aged kids. According to the expert at our anxiety treatment center in Houston, knowing these signs early on will allow families to access the right resources for diagnosis to provide treatment more quickly. Although it is not where near being an epidemic in North America, we see more cases as parents are starting to recognize the signs of anxieties. As a new parent, these signs may be difficult to identify at first, as symptoms of anxieties may look like general rebellion or other child-related challenges. But, upon further inspection, the anxiety center of Houston states that the difference between a symptom of anxiety and misbehavior are vastly different. Here are the signs to discover to determine whether or not your child is experiencing concerns in their day-to-day functioning. Children have a hard time expressing their worries and anxieties, they are usually unaware of what they are going through and the stress that they feel because of it. As such, it is difficult to have them communicate with us about their potential fears and anxieties about their life, friends, activities, and school. Digestion issues such as constipation, nausea, vomiting, diarrhea, cramping, and mild stomach aches could be symptoms of childhood anxieties. Especially if you have checked their illnesses out medically with their doctor or pediatrician. The problem can stem from underlying anxiety disorders. When our children are overly tired, or excessively restless, patterned with insomnia and nightmares; chances are that they may be experiencing symptoms of anxiety. The experts at the anxiety center of Houston recommends that this physical response is one of the first symptoms you take note to determine whether your child may be experiencing worries beyond the norm. An increased heart rate is ordinary amongst children when faced with worries. However, with anxieties, children may hyperventilate when their hearts race, to the point where they may develop chest pains. Worrying is a normal amongst children, especially when they are trying out new activities or meeting new people for the first time. But, when our kids are excessively worrying and have trouble concentrating because of their worrying, it is a definite sign of anxiety. Children sometimes worry to try to get reassurance from their parents or caretakers. However, if the child can only function upon the approval and reassurance from others, it is essential to seek the expertise of our therapists at the anxiety center of Houston for a proper diagnosis. Our culture and social media has played off obsessive-compulsive behaviors as a form of comedy or has exaggerated it to the point it is not taken seriously. However, routines and rituals are essential signs to take note of children having anxieties to have perfection in their life. Without treatment, the child may develop severe cases of obsessing behaviors to accommodate their thoughts about their worries. The anxiety center of Houston stresses that emotions like anger and irritability are tricky to cope with, but are significant indicators of underlying anxieties the child may be experiencing. Because kids do not know how to express and communicate their frustrations and fears as anxieties, their likely emotions are usually on the other end of the spectrum, displaying defensive behaviors to protect themselves. These mood issues are easy to identify, such as rage, resistance to obey, unusual hostility, and defiance against authority figures. 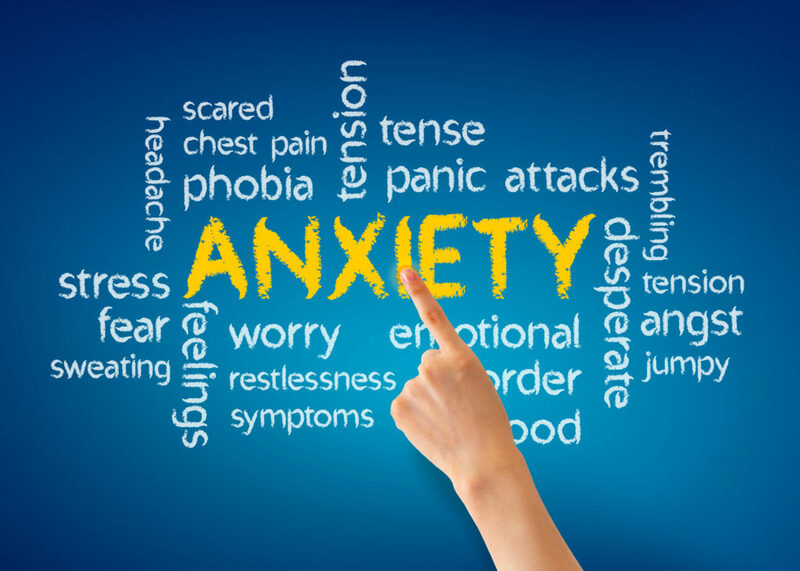 By paying particular attention as to why or when these fluctuations of emotions occur, and you will be better able to get the help and treatment needed from the anxiety center of Houston. The last of the signs to take note of whether your child may be experiencing anxiety in their day-to-day life is to notice their actions and behaviors that may be mainly out of the norm. If you see sudden changes in your child’s interests or you notice that they behave very differently in specific environments, the underlying cause may be due to anxiety. The experts at our anxiety center in Houston suggests talking to your child’s teachers or care-takers while you are not around to get a handle on what may be causing them stresses. For example, if your child used to love to play with certain friends, but now prefer to play in isolation, which may be a massive red flag for you to seek professional assistance to find out what may be causing the behavior changes. Children are simple and straightforward to observe, if they start avoiding situations they used to enjoy, it’s a good indication to take a closer look as to what is causing him or her the fear or worry. Our children will typically try to avoid expressing their fears, anxieties, and emotions with us for fear of rejection. Their self-worth is based on our acceptance; so, to talk about the things that may be bothering them may be difficult because they feel that they will be misunderstood. If you are having challenges in finding out whether your child is experiencing an anxiety disorder, or you are suspecting that your child may be suffering from anxieties, you can contact our therapist in Houston at the Grief Recovery Center for more info today.